We would like to congratulate Mirvac Construction and all the consultants in achieving this great result. 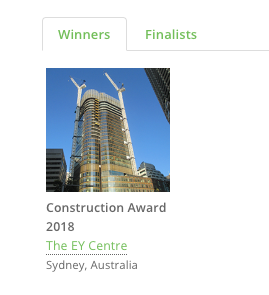 The Council on Tall Buildings and Urban Habitat (CTBUH) Awards ‘recognize projects and individuals that have made extraordinary contributions to the advancement of tall buildings and the urban environment, and that achieve sustainability at the highest and broadest level’. 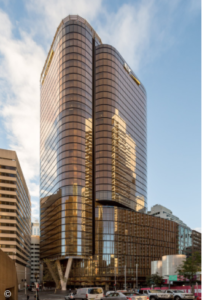 EY Centre‘s facade system has been recognised as an outstanding evolution of closed cavity technology.